Mariam and Gabi D styled by Antonia Yordanova for the January 2012 issue of Elle. These are one of my most re-pinned images on my Pinterest account and one of my favorite editorials to date. 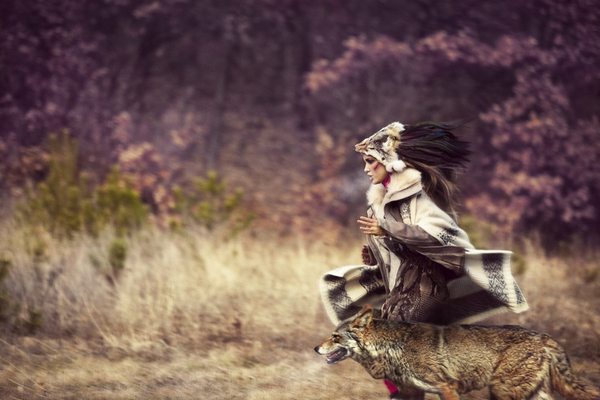 I can not even recall how many hours have been spent trying to unearth information on the above images after a brief encounter on Tumblr, but, finally that day is here and I can share this stunning bohemian chic work of wonder. 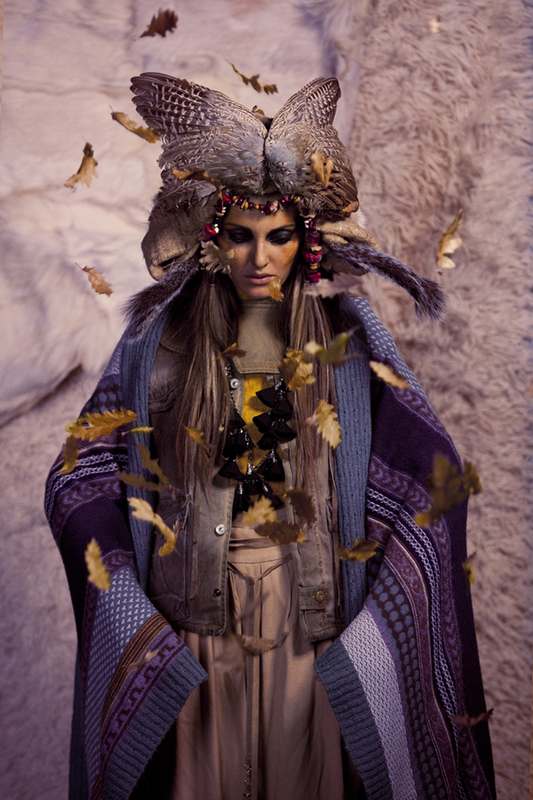 A beautifully colourful array celebrating mother nature with the story of a fierce, femme fatale tribal warrior adorned in 70’s inspired boho furs, ethnic prints and luxe shamanic headpieces. Are you guys as enchanted by this spread as I am?